It's the last day of February, and I'm so looking forward to March and finally seeing our snow melt! 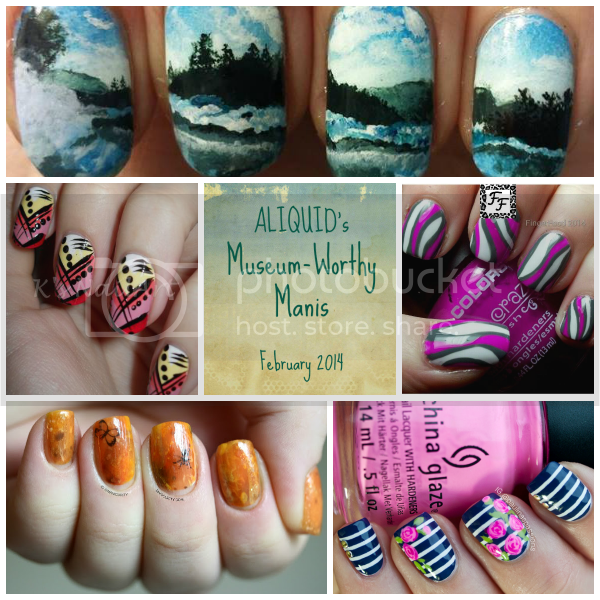 Today I'm continuing with my Pinterest picks of the month by showing you some awesome nail art I pinned in February. Please go visit all of these amazing artists and like/follow/etc.! 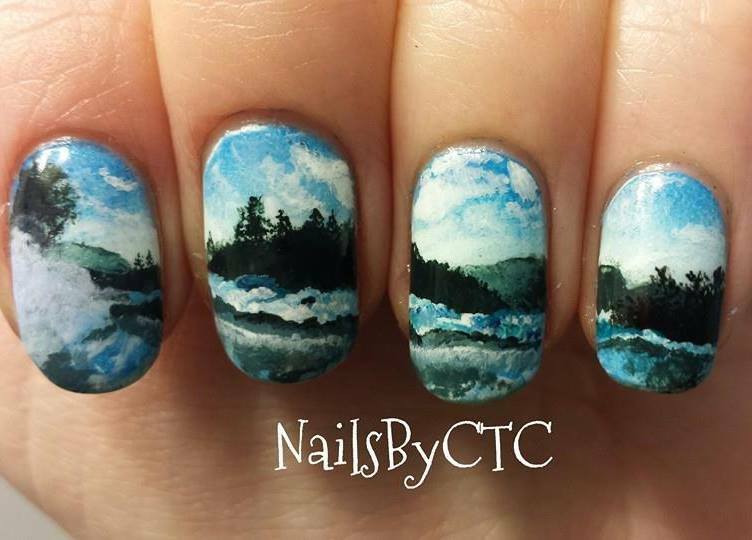 I stumbled across Nails by CTC's Facebook page this month and was absolutely astounded by the work she does. Her page is just photo after photo of gorgeous art like this. I don't know how she manages to get such photorealistic art on such tiny canvasses! She deserves a million bajillion likes. This one reminds me of a tropical sunset! The black details have such great movement--they feel like palm trees swaying in the breeze. I love that such a simple set of colors, lines and dots can result in something so interesting to look at. 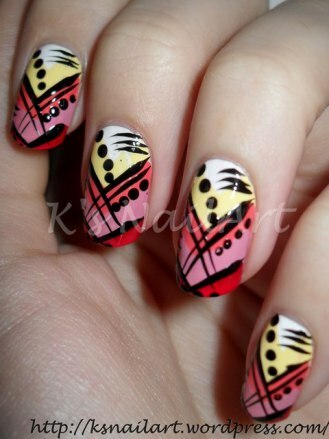 Go read more at K's NailArt! Not only is FingerFood the organizer of the nail art challenge I'm doing right now, but she's an amazing nail artist too! This is the latest of many manis I've pinned from her. I'm a sucker for bright colors contrasting with neutrals, and I love the funky freeform patterns here. Not to mention I'm jealous of her perfect freehanding! OK, this one's not brand new, but I discovered it this month while Googling for "amber". 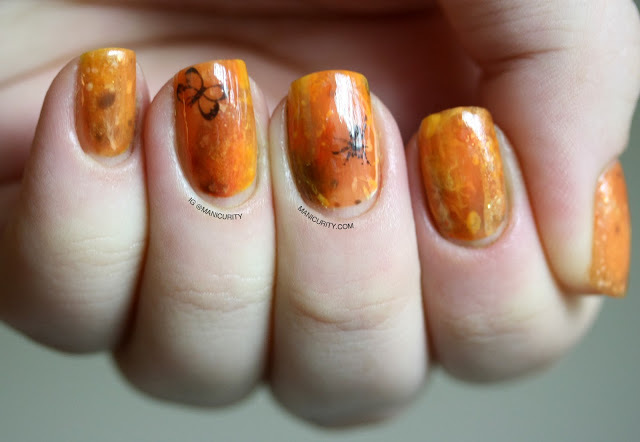 If these nails weren't attached to someone's fingers, I would have thought they were real amber! They're so painstakingly detailed but still manage to look natural. I'm so jealous, because I've always struggled to embrace randomness in my nail art. The bugs are a perfect finishing touch too! Read more at Manicurity! Sometimes there's nothing like an old-fashioned floral mani. 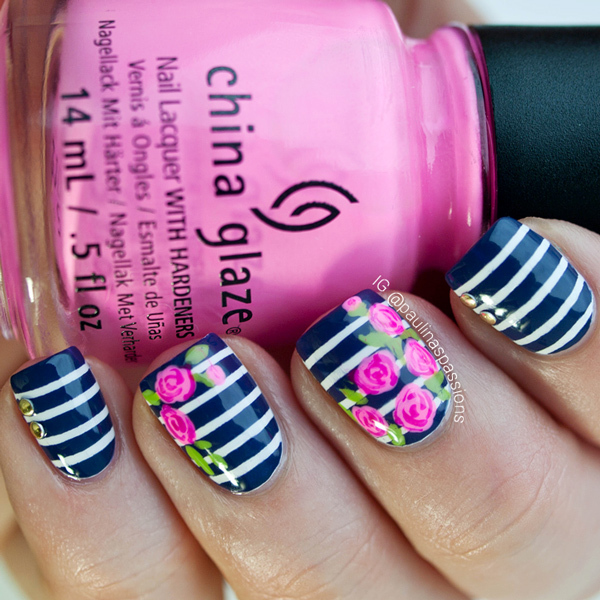 I love the contrast between the masculine nautical stripes and gold studs and the delicate pink roses. Everything about this mani is so clean; it just satisfies my constant craving for neatness! Check it out at Paulina's Passions! Well, that's all from me for this month! I'll be back tomorrow with a new 2014 Blogger Challenge post! 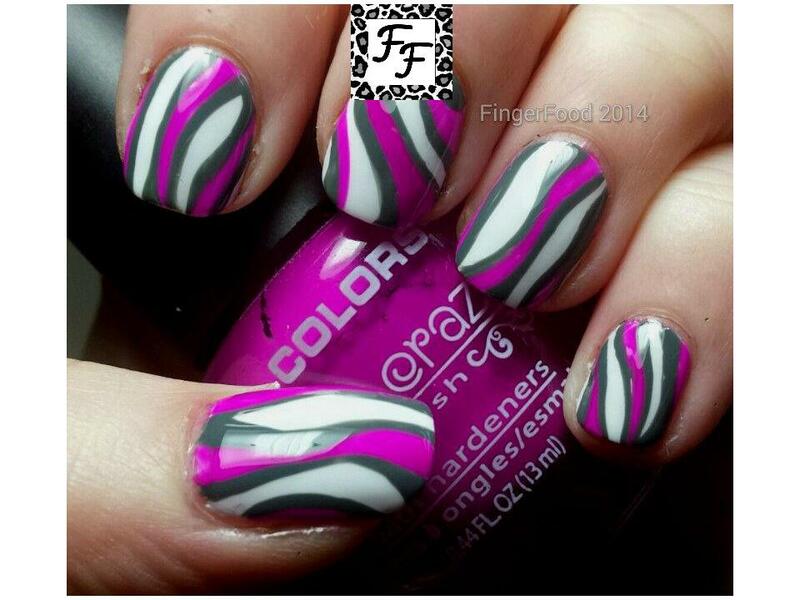 These are such amazing manis! These are all really great manis! The landscape one is absolutely incredible! These are gorgeous! I've been admiring the one by Paulina as well!